Hatteras Bound ran a respectable but disappointing third at Parx on Saturday pressing the pace throughout yet being unable to catch the gate-to-wire winner. Hatteras Bound saved ground stalking the pace and held on gamely. Hatteras Bound was claimed out of the race. Hatteras Bound earned $2,530 for Saturday�s third place finish. Hatteras Bound is entered to run in Saturday�s 4th race at Parx which is a $12,500 Claiming race going 1 mile 70 yards for 3-year-olds and up which have never won 3 races. He drew post position 4 and jockey Joshua Navarro is named to ride. Hatteras Bound is currently the 8-5 Daily Racing Form morning line favorite in the race. He�s the DRF Consensus selection to win the race. Two DRF handicappers select him to win the race. The purse for this race is $23,000. 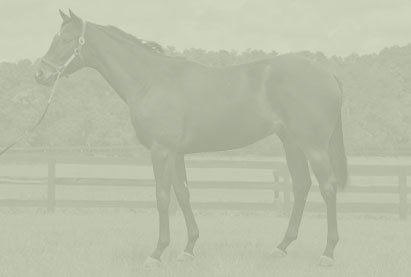 First race post time is 12:55 PM and Hatteras Bound's race is Race 4 which is scheduled to go off at 2:16 PM. As always there will be a Hibiscus table in the clubhouse restaurant. Everyone is invited to join our partners at Parx for a fun afternoon of racing.